This contemporary entertainment unit separates the family room and the living room. The sides of the unit are finished by quarter round radii. 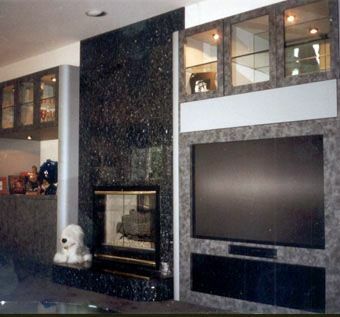 The color was chosen to blend with the existing granite fireplace. There is a horizontal pocket door above the TV to hide media equipment.